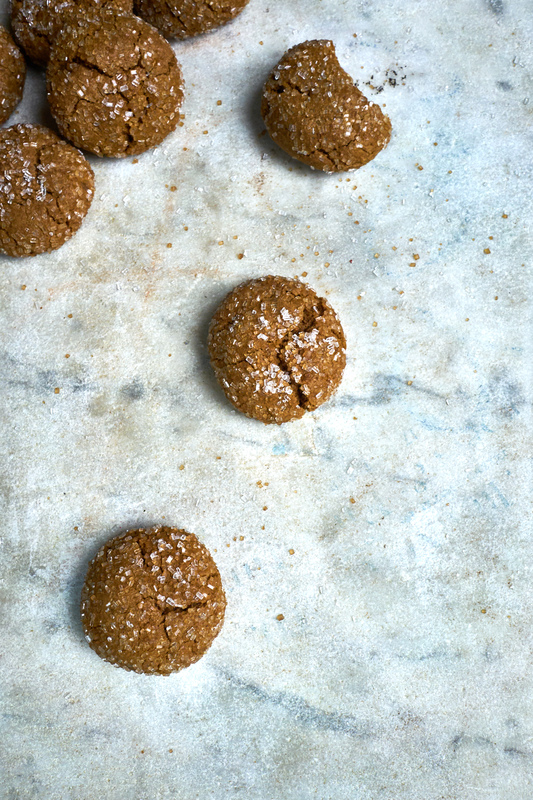 These are the ginger cookies you want to make. Little cookies spiked with lemon and three kinds of ginger. I can’t get enough of them. Cracked and sugar-crusted on the outside, dense and moist within, these chewy, tender ginger gems invigorate the senses with every bite. 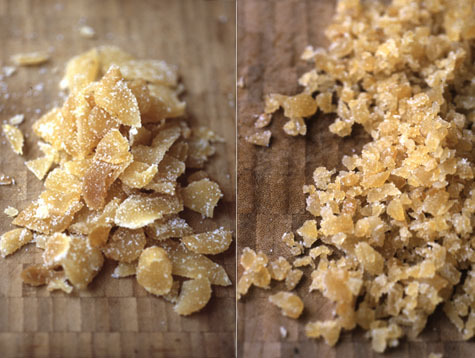 Helped, no doubt, by the lively combination of freshly grated ginger, powdered ginger, AND minced crystallized ginger. Texturally they are far from being ginger snaps, but calling them ginger puffs wouldn’t accurately describe them either – they maintain a certain heft that belies their tiny size. They pair nicely with cold, blustery afternoons. They pair nicely with hot tea. I should also mention, these are the types of cookies I like to make for parties – the perfect grab-and-go sweet. I say this in part because they deliver a single bite of spicy deliciousness without being too-much – too sugary, too big, too fussy, too ornate, etc. And if that wasn’t enough, the smell that emanates from the oven while they are baking is enough to make one swoon. It took me a while to get this recipe right where I like it – and I’ve found using one of two flours works best. I had great results using spelt flour, and great results using whole wheat pastry flour. The version you see in the photos is the whole wheat pastry flour. 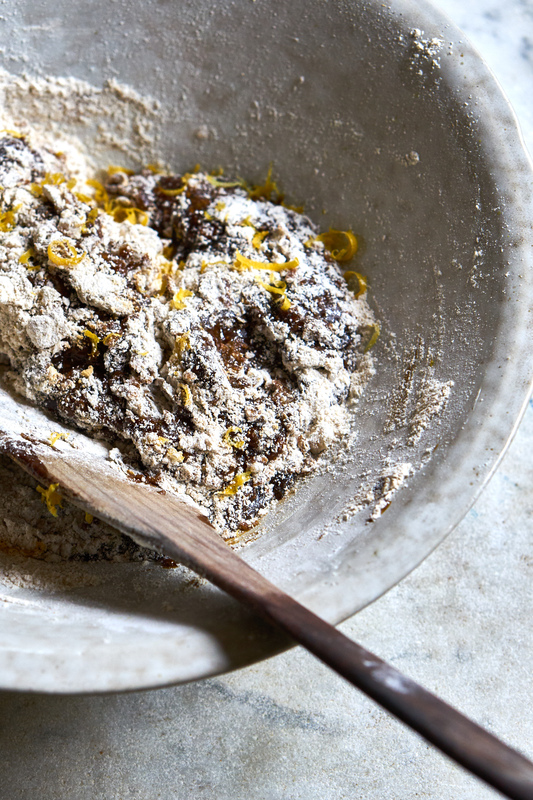 And for those of you who read this to the end…my little secret when it comes to making these cookies is this – I mince the crystallized ginger to death. I go at it like I’m trying to turn it into some sort of paste. Some ginger is moister than than others, so you’ll have varying results, but really go at it. A dramatic mince.